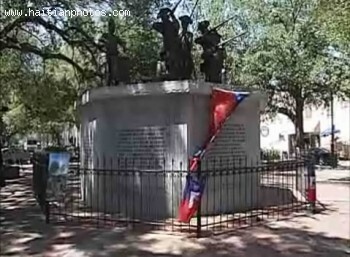 Battle of Savannah was an important fight in the U.S. history for independence from England and it is one of the bloodiest independence battles that the U.S ever fought. D'Estaing was a veteran of Austrian War; he was badly wounded in this fight. However, very few of us remember that battle of Savannah is not the only battle where the brave Haitians shed blood for U.S independence. Historian and journalist Ralph Pezzullo points out at another battle that took place at Lynnwood Harbor off the coast of Florida in 1781, in which British commander Lord Cornwallis was defeated by a fleet from St. Domingue (Haiti's French colonial name). Recently, on the official celebration of the 242nd Anniversary of American Independence, US Ambassador to Haiti Michele Jeanne Sison, while speaking before an audience of distinguished guests, reminded and accredited the bravery of the Haitians at the siege of Savannah, Georgia alongside the troops of American against the British colonialist army.